Sprint Tool and Die, designers and manufacturers of plastic injection moulds and die cast tools, are exhibiting at PDM 2018 and can be found at Stand A012 to discuss your next project or repair. PDM 2018 is a great place to meet up – located in the centre of the country and close to the motorway network – Sprint’s MD and designers will be on hand to discuss your tooling requirements. Sprint Tool and Die have been manufacturing high quality tools in Telford since 1989, within a couple of miles of the PDM exhibition. Every one of their workforce has undergone a traditional apprenticeship and the latest two recruits are continuing with their studies whilst gaining hands-on experience on the shop floor. Their youngest apprentice was awarded “Apprentice of the Year” to reflect his attitude and commitment to learning. Sprint Tool and Die are no strangers to winning awards, having been twice awarded Toolmaker of the Year. 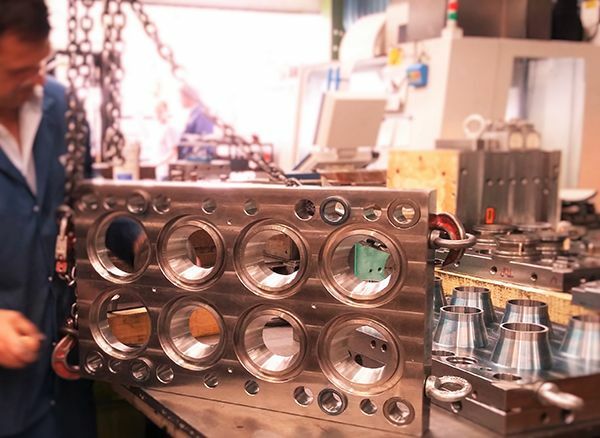 Their longstanding relationships with customers demonstrate a commitment to working alongside moulders and end users, to ascertain the most suitable material for the specialist application, to produce a mould tool to run efficiently and with impressive cycle times. The experienced workforce manufacture insert-moulded items, multi-cavity and unscrewing tools for a variety of applications – from caps and closures to medical to consumable/disposable packaging solutions. Repairs and modifications are also carried out expertly and expeditiously, so as to reduce downtime and loss of production. Design is carried out in-house, which ensures close collaboration between the toolmakers and draughtsmen to ensure the best and most efficient design for each individual project. Sprint Tool and Die was originally set up by Ian Amos to provide good quality tooling, on time and within budget, a strategy which has not changed to this day. The company embraces modern technology on the shop floor. The latest investment of £100K was in an additional CNC high speed milling machine from DMC, which has proved of great assistance in expanding their machining capabilities and meeting demanding delivery schedules. Visit Sprint’s website to see further examples of their workmanship and vast experience within the plastic injection and die cast industries.